Learn how the Chicago Navy Pier is a seasonally dynamic, culturally rich and sustainable destination. This course is available for 0.5 SITES-specific CE hours. Learn about SITES certified projects at two institutions in the University of Texas system.This course is available for 0.5 SITES-specific CE hours. 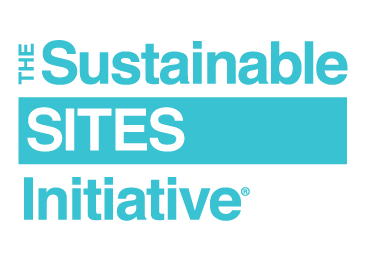 Learn how HP, Inc used SITES to achieve sustainability goals at its campus in Boise, Idaho. This course is available for 0.5 SITES-specific CE hours. Learn how the renovation of Bartholdi Park provided an opportunity to increase accessibility, showcase SITES principles in action and demonstrate USBG’s commitment to sustainability. This course is available for 0.5 SITES-specific CE hours. There’s a growing interest in greening roofs and walls, especially in urban areas. They’re also much more than just eye-catching features! This course is a primer on green walls and green roofs covering different techniques, system types and applications.